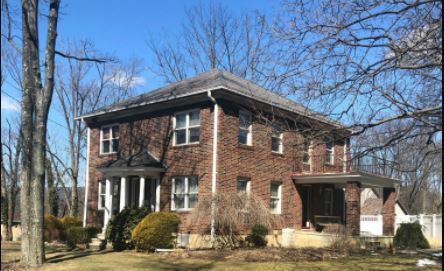 Problem: The air conditioning on the first floor of a large single home in Walnutport PA needed replacement. The second floor never had central air. Solution: Install new ductwork, registers and return on the second floor and a two new Carrier Comfort Series air conditioners. 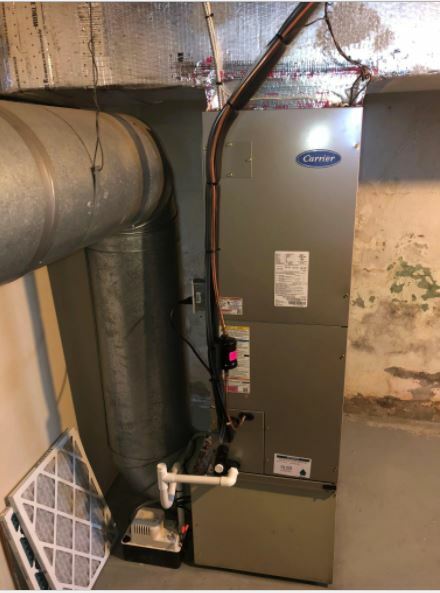 It was time for an HVAC upgrade in a large single home in Walnutport, PA. The central air conditioner that served the first floor was showing its age. At the same time, the second floor never had central air at all. Our homeowner decided to replace the air conditioner serving the first floor. And, he wanted to finally have central cooling on the second floor. For a big job like this, our homeowner went with UGI Heating, Cooling and Plumbing. We’re known throughout the Lehigh Valley for our great work. Our reviews tell the story: Our sales team and installers make sure the job is done perfectly the first time. The process started with Jim Baab going out for an in-home estimate to help our customers find the right units for their home. From there, he made sure they have all the right municipal permits for the work. This is sometimes overlooked, but it’s very important. A homeowner can get fined or run into other problems down the line if this isn’t handled. And, most importantly, UGI Heating, Cooling & Plumbing does the job right the first time. That’s especially important on a job as big as this one. There’s plenty that can go wrong with a job this big. If the units aren’t installed properly, the home could end up with high humidity, causing damage to the home. Or, the systems will work inefficiently. That could cause the monthly energy bills to run much higher than they should. Fortunately, our experienced installers know how to avoid all those problems. We got the home cooler than ever in the summer. And, we made it as easy as possible for our homeowner. Central air conditioning systems don’t last forever. And, it’s better to replace them before they break down completely. Otherwise, you may not have the luxury of picking out the right new one for our home. Odds are, the unit will break down in the summer. That’s when it’s being used the most. At that time, you’ll want to get it replaced as quickly as possible. But, you also want time to make the best decision you can. So, the best bet is to watch for signs that it’s time for a replacement. That way you can take care of it at your own pace. If your electric bill is higher than usual for that month, for instance, your a/c may be to blame. As the unit gets older, it needs more energy to run properly. This will drive up your bill in the summer. At the same time, your home not getting as cool as it used to. Or, it takes longer to get to the temperature you want. You may also notice more humidity even with the a/c on. These are signs the system isn’t working as well as it should. Most central air units last around 10 to 15 years. If yours is that old or even older, then you may want to consider replacement instead of repair. It may not be worth investing the money in something that could be on the way out. And, models today use less energy than your old one did even when it was working perfectly. During the initial consultation, Jim Baab helped our homeowner consider all these factors. In the end, the homeowner decided that replacement was the way to go. At first glance, you’d think that one house should have a single central a/c system. But, in some cases two are better than one. In the case of this home, two units would provide better cooling for less money than a single air conditioner. For starters, putting central air on the second floor meant adding new ductwork and vents. We inspected the ducts downstairs. The were working fine. But, they were a few decades old. That meant the new ductwork would be better. Today, there are better ways of sealing ducts. This helps keep all the cool air in the system instead of leaking out. And, even ductwork in good shape won’t be as good as it used to be. In this case, then, Jim decided that it made more sense to keep the units separate. That way, the upstairs would have more efficient cooling. It would take less energy with the new ducts to do the job. 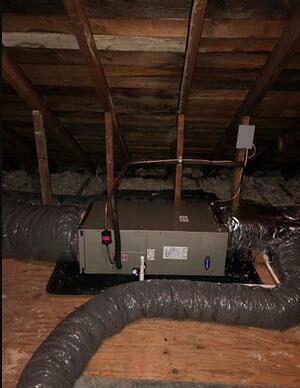 Otherwise, the new ducts would connect to the older ones and the homeowner would start losing efficiency. Next, uneven heating and cooling is a common problem in older homes like this one. That’s when one section of the house gets warmer in the winter, or cooler in the summer, well before another. In this case, installing two units would prevent this. UGI HVAC's Jim Baab designed a system that would have to separate thermostats - one upstairs and one downstairs. This means that the top floor can get just as cool as the first floor. Many times, that’s not the case. When the thermostat is on the first floor, the a/c turns off after cooling the first floor But, the second floor is still warm. Using two separate units creates what’s known as “zoned” air conditioning or cooling. This means one unit is responsible for one area, or zone of the house. That’s opposed to one unit for the whole home. As we saw before, using zoned HVAC can give a home even cooling. But, it can also save money. Since the top floor takes longer to cool, that unit has to work more than the first-floor a/c. This, of course, uses more energy. And, more energy means a higher electric bill. But, a zoned system uses less than a central one. That’s because our homeowner doesn’t have to keep cooling the entire house just to treat the second floor. Now, the first floor unit turns off when that zone is cool. Then, just the second air conditioner works for a little longer. That’s less energy than the entire house being treated the whole time. Then, there’s another advantage. Our homeowner can set each thermostat differently. Now, he doesn’t need to cool the rooms he’s not using. The bedrooms are all on the second floor. Once everyone is awake and moving around, they don’t go upstairs too much. Then at night, no one is on the first floor. So, why keep treating both zones 24 hours a day? With two air conditioners, our homeowner can let the upstairs get warmer during the day. And, he can do the same for the downstairs at night. This way, he’s using less energy all day to keep his home comfortable. Do you want a better and more cost-effective and efficient option for heating and cooling your home? Contact us and we'll design the perfect solution for you!